Bay Area Houston Magazine would like to give a special thanks to Carlos Villagomez from Carlos’s Beer Garden for showing us this beautiful memorial remembering our veterans. The memorial was erected by the City of Webster’s City Council. This Memorial Day, stop by and pay homage to our military. 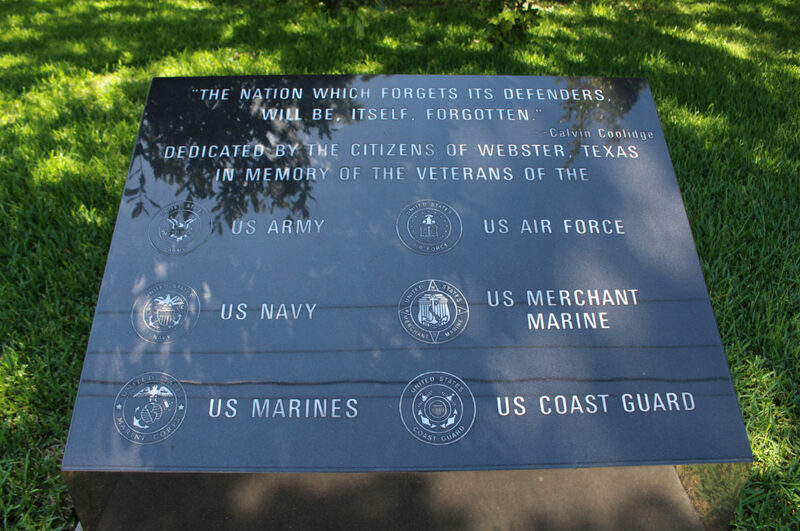 The memorial is located on Nasa Road 1 in front of McWhirter Elementary and across the street from Webster Bicycle in Webster, Texas.